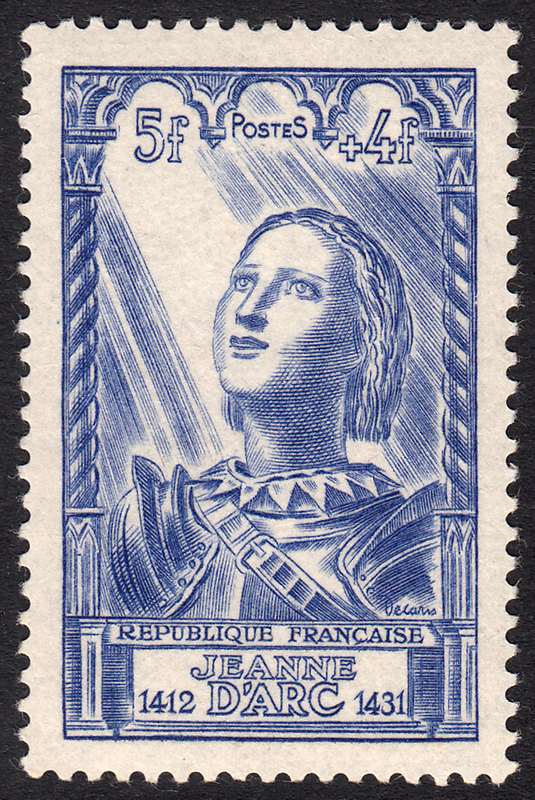 Joan of Arc, which in French is Jeanne d'Arc, was born into a peasant family at Domremy in north-east France on 6 January c. 1412. Joan of Arc is famous for her military role in the Hundred Years War. She said that she received visions from the archangel Michael and other angels. They instructed her to approach Charles VII and offer her services to the country. Her amazing victories at the siege of Orleans and several other battles at the age of 18 gained her legendary status. But not enough it seems to save her from the stake. On 23 May 1430 she was captured by the French Burgundian faction who were allied with the English. She had many charges thrown against her and she was found guilty and burned at the stake on 30 May 1430. But the story doesn't end there. Twenty five years after her execution, her trial was reconsidered and she was found not guilty - not that it helped her much! She was thus declared a martyr. In 1909 she was beatified, and in 1920 canonised. She is now remembered not only in the church, but through modern popular culture, in literature, movies, television and video games to name a few. For more on this amazing young woman click HERE. On 28 October 1946, France issued a set of six stamps commemorating 15th Century celebrities. Two stamps in this set were designed and engraved by Albert Decaris. Francois Villon and Joan of Arc. Since this blog is a quick study of Joan of Arc, it is this stamp we shall examine. This stamp is stunning. The divine adoration on the face of Joan coupled with the heavenly rays of light illuminating her path to sainthood make this stamp a real Decaris treasure.